THANK YOU FOR BEING A RESOURCE GENERATION MEMBER! Increasing your membership-dues from the minimum of $250/year to an amount that meaningfully reflects your access to wealth helps sustain our work of reaching more young people with wealth, helping them move money to social justice organizations, and partner with local grassroots organizations led by working-class and poor people fighting for economic and racial justice. 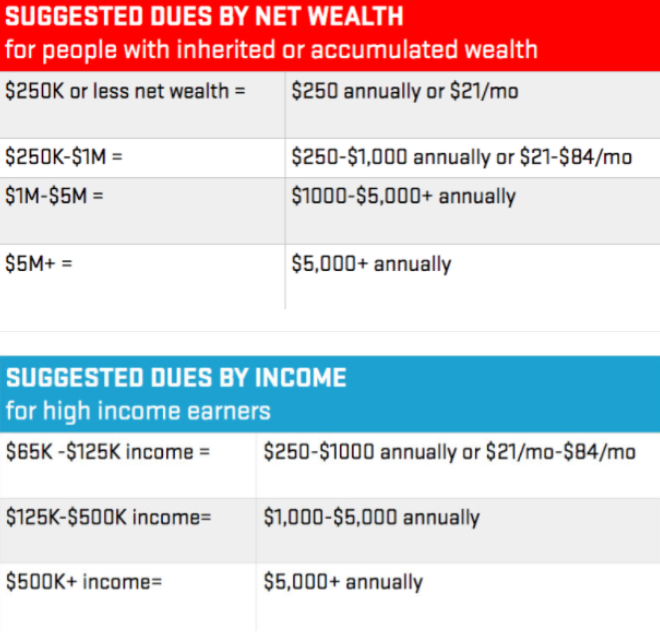 On average, as a result of joining RG, young people with wealth give away sixteen-times more money to social justice organizations than they did before. Help us find more of them! Because the movement for the equitable distribution of wealth, land, and power is a long-term fight, young people with wealth need to commit to sustaining our work for the long-haul. 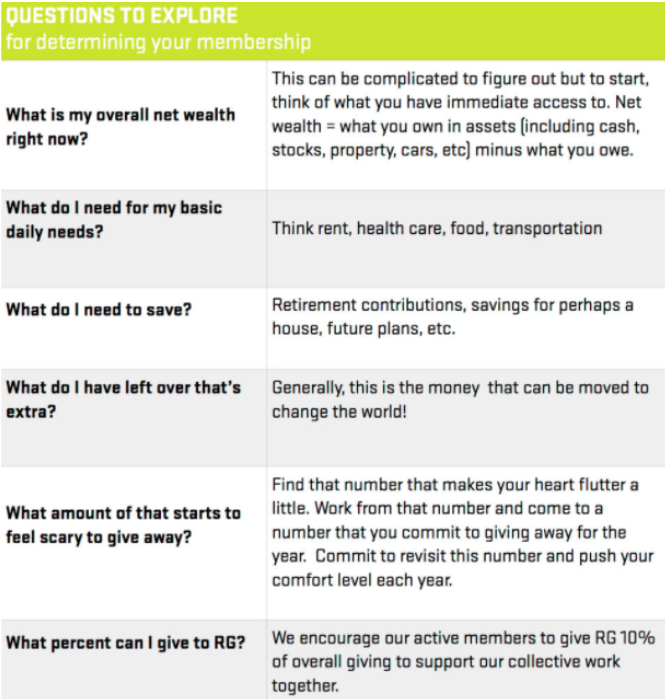 Increase your dues below and connect with your organizer or our Development Director (danielle@resourcegeneration.org) to chat about pledging gifts for multiple years at a time.